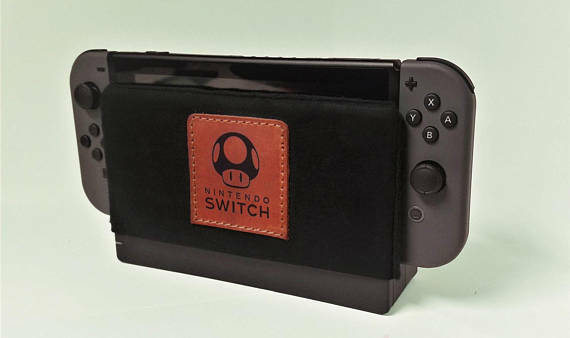 A small leather working studio, based out of Ukraine, has begun to make some accessories for the Nintendo Switch. 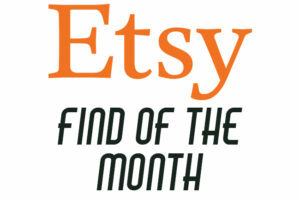 When I ran across them on Etsy, I was in awe of how wonderful their products looked. 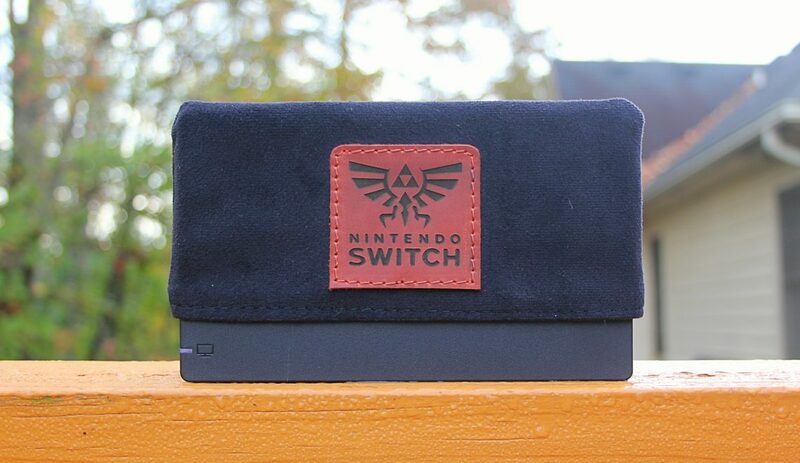 It was clear that they put their love and time in to each and every product, and I had to get my hands on one of their Dock Socks (Dock Socks are decorative accessories placed on your Nintendo Switch dock). Shipping was speedy, especially for an item that had to pass through customs. Upon opening the envelope, I was pleased to see an adorable little package waiting for me. The logo was printed nicely, and it was neat to note that it was Handmade from Ukraine and that it was made recently! I was eager to get in to the package and see what this dock sock looked like and how it would look on my dock. The material on the dock sock was soft and cozy; I could see a pillow being made from this material. The stitching was tight and flawless. The leather on the patch perfectly cured and the laser cutting on the leather was flawless and made with precision. 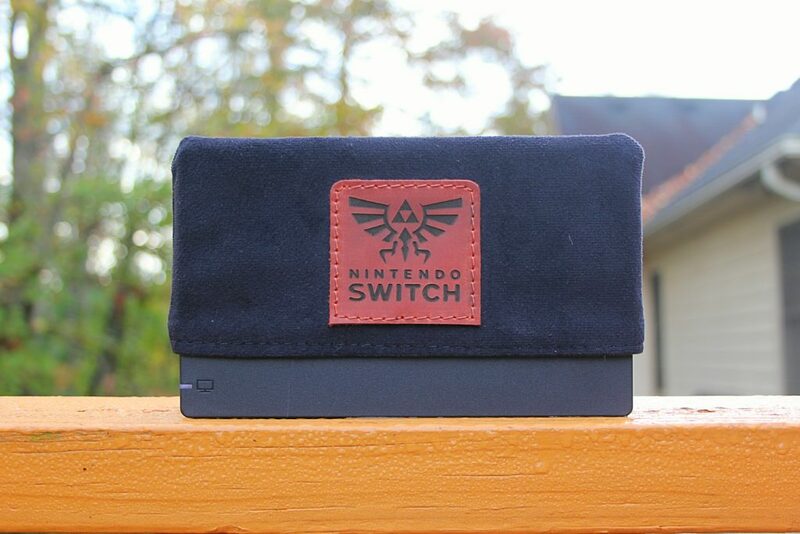 I hadn’t asked for a specific design and instead opted to be surprised, and wouldn’t you know it…I got Zelda! (How did they know that I am a Zelda fanatic?!). 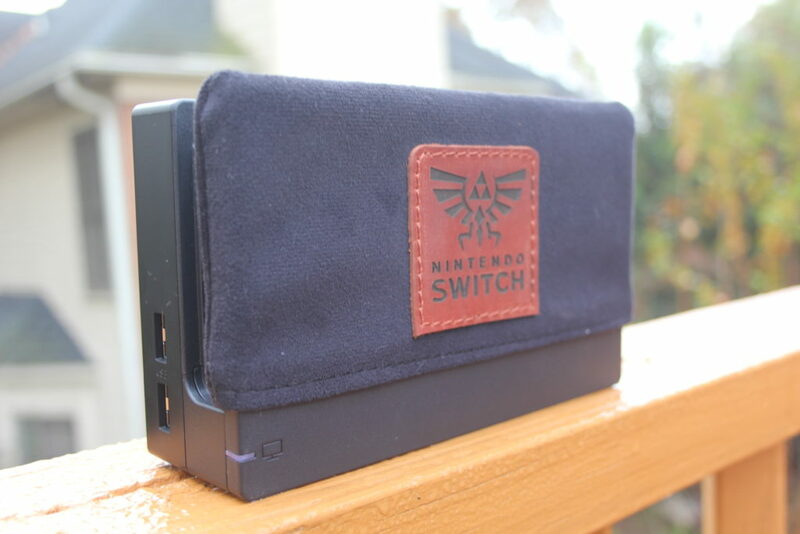 Looking at this wonderful accessory made me eager to see how it fit on the dock. 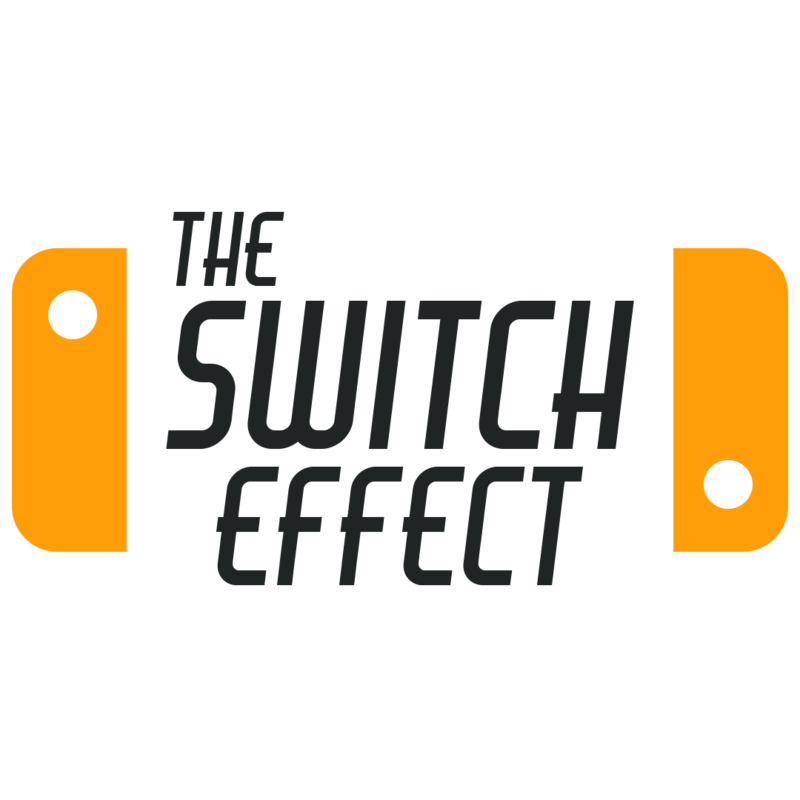 The fight was a bit tight, which is actually a benefit; no sliding around when I slid my switch in and out of the dock! The other benefit of the soft material is that it whisked off any dust that was on my screen. Unintentional benefit? Who knows…but I appreciated it. Having a 3 year old boy at home, I let him get his hands on the dock sock to see how durable it was (and I suppose to test the stability of the stitching). Good news, this dock sock is pretty solid! The material did not stretch and the stitching did not come apart. I will definitely be keeping this on my dock for now. It isn’t cartoony and is something adult gamers will definitely appreciate decorating their dock with. I was pleased, too, to find a little surprise in the packaging. 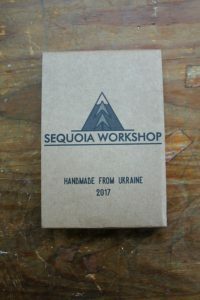 Sequoia Workshop was kind enough to send me a really nice little keychain. I immediately put it on my keys. 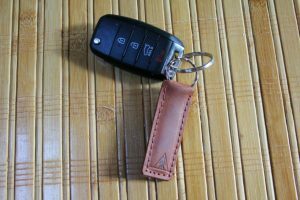 The leather feels smooth in my hands and I will surely keep this on my car keys for years to come. With the holidays coming up, Sequoia Workshop’s collection of Dock Socks are a great stocking stuffer for the Nintendo Gamer’s in your life. Nice Find! This looks well crafted. Agreed! 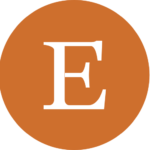 We really liked this and would highly recommend!